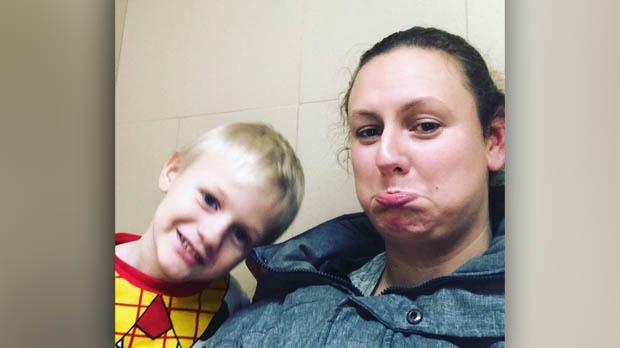 A Winnipeg woman is disappointed with the Walmart on McPhillips Street after she got trapped in the store’s family washroom with her three-year-old son. What was supposed to be quick stop at the store for Crystal Cousins and her son Maddox turned into a 90 minute dilemma. Moments of levity early on turned into panic as the situation dragged on, Cousins said. She was on her way to a fitness class Wednesday night and stopped at the store after her son’s swimming lessons to get him a treat because he didn’t get to go in the pool. Despite unlocking the door and trying several times to pull it open Cousins and her son couldn’t get out. She called the store’s customer service line for help using her mobile phone. In a statement Walmart Canada said it’s sorry for the experience Cousins and her son had in the store. A spokesperson says Walmart associates responded but Cousins said they didn’t do enough to help during the predicament. “It took 10 minutes for the first person to actually come to the door,” said Cousins. 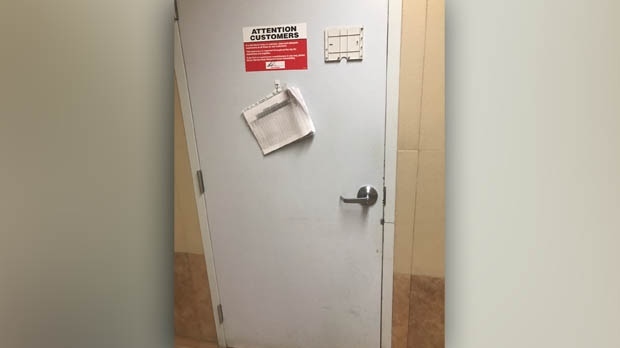 Cousins said that employee went and got a manager who couldn’t get the door open either and told Cousins he was going to call a locksmith. “At which point I asked how long that would take because we’d already been in there for 25 to 30 minutes,” said Cousins. Eventually her mom contacted the store asking Walmart to contact the Winnipeg Fire Paramedic Service but Cousins said the store wouldn’t, so her mom called the fire department herself. Cousins said she her son were shaken but had no injuries. They had been stuck in the washroom for around an hour and a half. Cousins said one manager at the store acknowledged the matter was handled poorly. 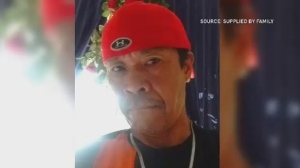 Walmart Canada said the interior handle mechanism broke and that a store manager has reached out to Cousins to follow up on her concerns.